The top two countries are the U.S. and China, followed by Russia, Germany, the U.K., France, Japan, and Israel. Israel ranked ahead of all of its Muslim neighbors in the Middle East – Saudi Arabia, Turkey, Iran, and Egypt. This report shows the results of a survey of 21,000 people from four regions, based upon each country’s leadership, economic influence, political power, strong international alliances, and military capabilities. This report is amazing when one considers that Israel is a relatively young country – only 70 years old. Furthermore, it is incredible that Israel has been able to earn this kind of stature among the nations given its size and small population. On February 13, sixty world leaders gathered in Warsaw, Poland under the banner “Peace and Security in the Middle East,” to speak out against the Iranian aggression leading the Middle East toward war. U.S. Vice President Mike Pence hailed this as a “new era” in the Middle East. 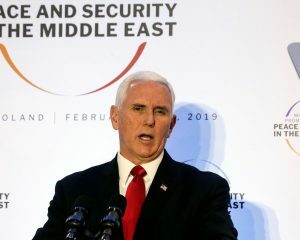 Pence said that the “gathering of Middle Eastern countries ‘breaking bread together’ was the sign of ‘a hopeful sign of a brighter future.’” (World Israel News, February 14, 2019). In attendance were Israeli Prime Minister Benjamin Netanyahu and many high ranking dignitaries from the Arab Gulf states., “sudden destruction cometh upon them, as travail upon a woman with child and they shall not escape” (1 Thessalonians 5:3). This simply means that while the unbelieving world is seeking for peace and security, the horrors of the Tribulation will engulf them and they won’t be extracted from the trouble and distress that will overwhelm the nations. The threat of a nuclear Iran is driving the Arab nations of the Middle East to seek some type of cooperation with Israel. These former enemies of Israel see the Jewish state as the only nation in the Middle East that is militarily powerful enough to deal with the Iranian threat. Iran is on Israel’s northern borders entrenched in Syria and Lebanon. And the Iranians are supporting Hamas on Israel’s southern border. Israel is facing the constant threat of “wars and rumors of wars” (Matthew 24:6). The Israeli Defense Force has assured the nation they are ready for any military attack. The Israeli military and the public have a very high level of confidence in their ability to defend the nation against any threat. In light of Ezekiel 38, this summit seems to indicate we are moving very close to the time when the Gog and Magog invasion of Israel will become a reality. It is extremely revealing to examine the list of countries that were in attendance at this summit and those who were not. Those who did not attend included the nations that will invade Israel – Russia, Iran, Turkey and their allies. Those who did attend and are in cooperation with Israel are also mentioned in Ezekiel 38:13 as opposing this invasion. Ezekiel 38:13 states that “Sheba, and Dedan, and the merchants of Tarshish, with all the young lions thereof” will speak in opposition to this invasion of Israel. Many Bible scholars indicate that Sheba and Dedan are references to the Arab Gulf states. The others mentioned possibly point to European nations, also including “the United States of America, Canada, Australia, and other present-day western democracies” (Arnold G. Fruchtenbaum, The Footsteps of the Messiah, p. 73). If these observations are correct, we have just witnessed a major development that was predicted by Ezekiel more than 2,500 years ago. It certainly would indicate that the events moving our world closer to the fulfillment of this text are dramatically near. As all of this is happening, we are being told that a major announcement is coming soon about a peace deal between Israel and the Palestinians. We have witnessed numerous failed attempts to bring peace to the Middle East. However, according to Daniel 9:27, the Antichrist will confirm a covenant of peace with Israel that will begin the Tribulation Period of seven years. Is the antichrist about to step onto the world scene with his peace plan? Current events seem to be pointing in that direction. From my understanding of the timing of Ezekiel’s revelation about Gog and Magog, we are very close to the Rapture of the church. When I initially read the reports concerning the Peace and Security Summit in Warsaw, Poland, I was stunned by the clarity of what we are witnessing. If anything has become a neon light flashing out the signs of the last days, this would be it! Get ready for the shout that will take us out! This treatment is amazing. It attacks only the cancer cells in the tumor, but does not harm the healthy tissue around the cancerous tumor. In only two weeks it can destroy all cancer cells in 70 percent of cancerous tumors, while shrinking the remaining 30 percent, making a surgical removal of the tumor possible. After going through all of the legal tape, this Israeli firm will be able to ship the treatment in a regular box to hospitals where the patient will have an out-patient daily treatment for two weeks and in most cases be cancer free. One Israeli doctor said, “We are already saving lives in the trials. It’s amazing to see patients who have been told their life expectancy is in weeks get treatment under local anesthesia and, 60 days out, they’re clear, they have no evidence of any tumors.” This quote is taken from, https://unitedwithisrael.org. I have been saying for about 20 years that the Israelis would discover a cure for cancer. It has now come to pass. The Lord promised the Jewish people, “And I will make of thee a great nation, and I will bless thee, and make thy name great; and thou shalt be a blessing” (Genesis 12:2). Once again, Israel has blessed the world. Isn’t it amazing that most of the people in the world hate the Jews? Satan has deceived the world into hating the people through whom God is blessing the nations. When a person wants to pinpoint his location he can take a compass and find his position in terms of the North Pole. The compass will always point north toward the North Pole due to the earth’s magnetic field. Scientists know the earth has a magnetic field that is created by the movement of ferrous fluids that travel around the earth’s core. While they do not completely understand this effect, they have been able to determine that the earth’s magnetic field is changing. They have noted that the magnetic point known as the North Pole is traveling southward. Thirty years ago, this was taking place at a rate of 9.3 miles per year. However, now it is moving at the rate of 34 miles per year. The reduction of the earth’s magnetic field also has a more dangerous result. Most scientists concur that this magnetic field protects earth from most of the sun’s harmful radiation and particles. Therefore, as the magnetic field continues to deteriorate, it could cause certain areas of the earth’s surface to become unbearably hot. If this trend continues, it could cause a complete reversal of earth’s magnetic field. The North Pole would become the South Pole and vice versa. A study of earth’s rocks indicates this happened several thousand years ago. It is possible that this is what happened to bring about the sudden climate conditions that prevailed upon the earth at the time of the global flood in Noah’s day. This also sounds like what will happen during the Tribulation. While referring to the geological upheaval of the Tribulation, Isaiah 24:1 says, “Behold, the LORD maketh the earth empty, and maketh it waste, and turneth it upside down, and scattereth abroad the inhabitants thereof.” Read the entire chapter. This is what is coming upon the earth. It will cause major global warming. Read Revelation 16:8-9. This should humble all of us. God is in control of His creation. God has His hand on earth’s thermostat, not those who speak of dooms-day global warming for political scare tactics. Get ready friends. Jesus is coming for His church. He is coming soon! During the last World War, the aggressors who were attempting to change the world were driven by anti-Semitism. Germany’s chancellor, Adolf Hitler, devised an insidious strategy to wipe out the Jewish race. This was based upon the false doctrine of replacement theology. Martin Luther, a German theologian who is credited for leading the Protestant Reformation, hated the Jews. Luther called for radical treatment of the Jewish people – destroying their homes, desecrating their cemeteries, burning their books, and calling for the demolition of their synagogues. While these kinds of expressions were not new, it set the tone for the doctrine of the German church that laid the foundation for the radical thinking of Adolf Hitler. We must be reminded that this same dangerous doctrine is sweeping through churches in the United States. More than half of the pastors and churches in America believe in replacement theology and favor the Palestinians over the Israelis. 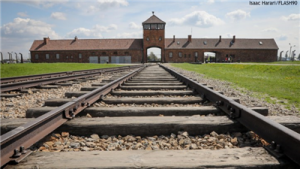 The stage is being set for another holocaust that will eclipse the one of almost 80 years ago. Many biblical texts indicate that the most horrific time for Jews and believers in Jesus Christ will come during the Tribulation (Daniel 12:1; Matthew 24:21-22). Studies now indicate that new Palestinian school curriculum is growing more radical. Funded by the EU, this curriculum does not promote peace between the Palestinians and the Israelis. It teaches children that Jews have no part in their land. And, it promotes jihad and martyrdom to accomplish the radical goal of eliminating Israel. The next generation of Palestinians is being educated to be more radical and more anti-Semitic. From a human vantage point, there is no real hope for peace in the Middle East. This also spells trouble for Christians. The radical Muslims have a saying, “First comes Saturday then comes Sunday.” This means that their war of eradication of all non-Muslims is aimed first at Jews, then at Christians. This is evidenced all over the Middle East where the Jewish and Christian population is dwindling. Israel is the only country in the Middle East where the Christian population is safe and growing. We need to understand that the enemies of Christians and Jews are the same. This present state of affairs will only worsen as we approach the final days at the end of this age. The coming world dictator, the antichrist, like Hitler, will lead an all-out war to annihilate Jews and those who will be saved during the Tribulation. We can see the storm coming. We only pray that our exit through the Rapture is imminent. “Even, so, come Lord Jesus” (Revelation 22:20). I have been going to Israel for 34 years and have always experienced the calm assurance that I am in a safe place. Contrary to world opinion and the biased American news media coverage, Israel is much safer than many areas within the United States. If fear has been keeping you from going to Israel with me on a tour, you have been deceived by the world’s lies. Contrary to what many have been told, most Jews and Arabs get along together and they have developed friendships where they live and work together. Just like here in the U.S., it is always the militant minorities who cause problems and get all of the attention. Believe me when I say I always feel safe in Israel. Come and enjoy Israel with us. It should be obvious to those who read the Bible and have a heart for God that the Lord has a special love for His people, Israel. There are numerous statements in the Bible that indicate this. And, the actions of our Lord in His first visit to earth certainly illustrated this fact. For example, as Jesus rode the donkey down the slopes of the Mount of Olives on Palm Sunday, amid the worship of His believers around Him, He stopped to gaze upon Jerusalem. As He did, He wept over His people. He wept over their rejection of Him and the subsequent deadly, divine judgment that would come upon Jerusalem and the entire nation only 40 years later at the hands of the cruel Romans. He knew the Romans would level the city and slaughter the people. Later, near the end of the first century, the apostle John would write the final gospel and note the painful rejection that Jesus faced. John wrote, “He was in the world, and the world was made by him, and the world knew him not. He came unto his own, and his own received him not” (John 1:10, 11). John was saying that Jesus came to His own people – the Jews, and they rejected Him. The Jewish nation, from the time of Abraham, has held a special place in the heart and plans of God. Six hundred years after the time of Abraham, the Lord told Moses that He had chosen Israel “to be a special people unto himself, above all people that are upon the face of the earth” (Deuteronomy 7:6). Even through all of the rejection of Him and His Word, the Lord continued to keep His promise to love the nation with an everlasting love. Seven hundred years after Moses, God spoke through the Jewish prophet Amos and said, “You only have I known of all the families of the earth” (Amos 3:2). Numerous times throughout the Old Testament, God referred to the Jewish people as “my people” (Exodus 3:7; 1 Kings 6:13; Joel 3:2; and Zechariah 8:7-8). We must remember that the Bible is a self-revelation from God. It is about Him. He is not like all of the other fake gods that have been created by the imagination of men with the help of demonic empowerment. Our God is a God of grace, mercy, love, patience, and kindness. That is why much of His revelation about Himself is revealed through His great love story of redemption of undeserving sinners. His revelation of redemption is like a thread that runs throughout the entire Bible. From man’s perspective, as revealed by an eternal God, God’s plan of redemption was in the heart and mind of God’s eternal purposes before the creation. Jesus Christ was God’s lamb that would freely shed His blood “from the foundation of the world” (Revelation 13:8). In the Bible, there is no greater love story of redemption that runs like a continuous thread throughout the Bible as God’s pursuit of the Jewish people. For 4,000 years, God has been waiting for the nation to repent and come to Him for salvation. The record of the Scriptures demonstrates just how obstinate and rebellious the Jewish people have been down through the ages. And yet, the Bible foretells the final redemption of the entire nation of Israel. Nothing like this has ever happened in all of human history. The entire story of Israel is a story of the miraculous intervention by God to graciously demonstrate to them and through them that He is a great God of redemption. The Holy One of Israel is passionate about the final redemption of His people. He has declared, “For Zion’s sake will I not hold my peace, and for Jerusalem’s sake I will not rest, until the righteousness thereof go forth as brightness, and the salvation thereof as a lamp that burneth” (Isaiah 62:1). In this article, let us examine the what, when, how, and why of this amazing redemptive work of God. 1. What? – All of Israel shall be saved. Numerous biblical passages declare that a time will come when all of living Israel will be saved. Here is a brief list: Deuteronomy 30:1-6; Psalm 130:7-8; Isaiah 4:3-4; Ezekiel 36:25-27; Zechariah 12-13; and Romans 11:25-27. God has made a new covenant with the house of Israel that guarantees their future salvation. “Behold, the days come, saith the LORD, that I will make a new covenant with the house of Israel, and with the house of Judah. … After those days, saith the LORD, I will put my law in their inward parts, and write it in their hearts; and will be their God, and they shall be my people. And they shall teach no more every man his neighbor, and every man his brother, saying know the LORD: for they shall all know me, from the least of them unto the greatest of them, saith the LORD: for I will forgive their iniquity, and I will remember their sin no more” (Jeremiah 31:31, 33-34). 2. 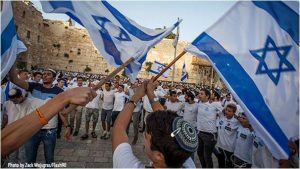 When will Israel’s national salvation take place? According to the Bible, since the days of Israel’s apostasy in the days of Isaiah, there remains a judicial spiritual blindness upon the great majority of the Jewish people (Isaiah 6:9-10). This spiritual blindness continued in the days of Jesus’ earthly ministry (Matthew 13:10-15) and was evident during the ministry of the apostle Paul (2 Corinthians 3:12-16). During these years, only a remnant of Jewish people came to saving faith in Jesus Christ. According to Romans 11:25, this temporary spiritual blindness will continue in part “until the fullness of the Gentiles be come in.” This would indicate that the great movement of redemption by the Holy Spirit upon the Jewish people will not begin until the Rapture of the predominately Gentile church. The process of the national redemption of Israel will begin at the time of the Rapture. This redemptive work of the Holy Spirit among the Jewish people is also connected to the battle of Gog and Magog in Ezekiel 38. When the Lord destroys the enemies of Israel upon the mountains of Israel, it will be very evident to Israel and the nations of the world that this invading force was supernaturally defeated. God said, “Thus will I magnify myself, and sanctify myself, and I will be known in the eyes of many nations, and they shall know that I am the LORD. … So will I make my holy name known in the midst of my people Israel; and I will not let them pollute my holy name anymore. … So the house of Israel shall know that I am the LORD their God from that day and forward” (Ezekiel 38:23; 39:7, 22). This process of Israel’s redemption will take place during the entire 7-year Tribulation. This is one of the major purposes of this time of great stress and difficulty for the Jewish people. While speaking of this period of time, the Lord declared, “And it shall come to pass, that in all the land, saith the LORD, two parts therein shall be cut off and die; but the third shall be left therein. And I will bring the third part through the fire, and will refine them as silver is refined, and will try them as gold is tried: they shall call on my name, and I will hear them: I will say, it is my people: and they shall say, The LORD is my God” (Zechariah 13:8-9). This would indicate that only one-third of the world’s Jewish population will survive the Tribulation. However, all of those who survive will call upon the Lord and be saved. At the conclusion of the battle of Armageddon, the remaining Jewish survivors will all call upon the Lord for salvation. “And it shall come to pass, that he that is left in Zion, and he that remaineth in Jerusalem, shall be called holy, even every one that is written among the living in Jerusalem. When the LORD shall have washed away the filth of the daughters of Zion, and shall have purged the blood of Jerusalem from the midst thereof by the spirit of judgment, and by the spirit of burning” (Isaiah 4:3-4). This article will be concluded in the April newsletter. 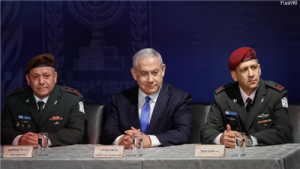 February 2019 – Israel Tells Iran- Get out of Syria, fast! Israel Tells Iran- Get out of Syria, fast! As students of Bible prophecy, we know Iran, Russia, and Turkey will attack Israel, probably immediately before the Tribulation begins. (Read Ezekiel 38-39.) Three times in Ezekiel 38 we are told this attack on Israel will take place when Israel is dwelling “safely” in the land. The Hebrew word used here speaks of the military self-reliance Israel will exhibit at the time of Iran’s attempted attack. Netanyahu’s bold words certainly illustrate Israel is very confident in its own ability to defend itself, even in the presence of Russian and Turkish forces in Syria as well. 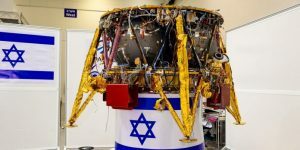 Israel is set to join the prestigious list of nations who have sent spacecraft to the moon. Following eight years of extensive planning and preparation, the unmanned spacecraft was recently shipped from Tel Aviv to the Cape Canaveral Air Force Station in Florida for a launch during the middle of February. Israel continues to demonstrate it is one of the leading nations in the world with scientific and high-tech innovations and creations. As one would expect, this is creating a lot of excitement in Israel. It is also sending a very strong signal to other nations in the Middle East concerning the advanced high-tech expertise of the nation of Israel. Biblical prophecy helps us develop a proper worldview. I love to study the prophetic Word of God because it is the will of God and it opens my eyes to the reality of the world around me and gives me wisdom and understanding. Perhaps one of the greatest verses in the Bible that helps us develop a true biblical worldview is Genesis 12:3. God said to Abraham concerning the nation of Israel, “And I will bless them that bless thee, and curse him that curseth thee: and in thee shall all families of the earth be blessed.” This single verse, if ignored, leaves people in hopeless darkness without the ability to understand the developments among the nations. God has chosen a people group, the Jews, to demonstrate to the world that He, and He alone, is in control of the affairs of the world. Both biblical history and prophecy demonstrate this principle. John McTernan, in his excellent book, As America Has Done to Israel, gives us an entire volume with impeccable documentation to show how America has suffered many massive natural disasters when its government policies refused to bless Israel and recognize the promises God has given His chosen people. God has chosen to bless the Jewish people with a great ability to be a rich blessing to the nations. Through them, we have been blessed with the Bible, a written revelation that has almost in its entirety been recorded by godly Jewish men. Obviously, we have been greatly blessed because Jesus is the Jewish Messiah and Savior of the world! Even in modern times, the Jewish people have made incredible contributions to our world. George Gilder, in his excellent book, The Israel Test, writes, “The Jewish three-tenths of 1 percent of world population have contributed some 25 percent of recent notable human-intellectual accomplishment in the modern period” (George Gilder, The Israel Test, p. 34). Isn’t it amazing that Satan has so blinded our world, including the majority of those who claim to be Christians, that they are anti-Semitic in their outlook and attitudes? Furthermore, many of them side with the radical Islamic enemies of Israel against the Jewish occupation of the land of Israel. Obviously, these people do not have a true biblical worldview. We need more men like the godly prophet Daniel. Daniel walked with God. In the prophetic book that bears Daniel’s name, God revealed to him the grand summary of all human history, from the days of Daniel to the end of this age. Daniel knew his God was the One who “changeth the times and the seasons: he removed kings, and setteth up kings: he giveth wisdom unto the wise, and knowledge to them that know understanding” (Daniel 2:21). Daniel’s heart and mind were in the hands of God. He wanted to know everything he could about God and His plans for Israel and the nations surrounding his people. As a result, Daniel was informed by an angel, “Thou art greatly beloved” (Daniel 9:23). God promised Daniel that when the end of this age would come the Holy Spirit would illumine the minds of believers so they might be wise and understand what God had revealed to Daniel about world events in the closing hours of this age leading up to the Kingdom of God (Daniel 12:9-10). Wisdom and understanding comes when we see things as God sees them. God sees everything! He is orchestrating all things for His glory and to His perfect ending. Surely, the child of God should want to know what His Lord is doing! This is only accomplished by knowing the prophetic Word of God. God has given His people incredible details about our world at the end of this age in His revelation. He has graciously pulled back the curtain and given us a glimpse of what will transpire in the world in which we are living. Certainly, the believer should want to be wise and to develop a true biblical worldview. We should hunger to see the hand of God and to discover His will so we might know how to pray, work, evangelize, and live. We should all desire to be like the children of Issachar, “which were men that had understanding of the times, to know what Israel ought to do” (1 Chronicles 12:32). This means these men were wise because they had great discernment and were aware of the world in which Israel lived. I want to belong to the people group of our world that has an understanding of the times. Unfortunately, too many professing Christians have fallen into the sinful trap of love for self that characterizes the dangerous climate of the last days. The Bible warns us that “in the last days perilous times shall come. For men shall be lovers of their own selves” (2 Timothy 3:1-2). It is evident we live in a world that is not concerned about current events that do not influence their own personal agenda. People in general, including most Christians, are ignorant of the world around them. It seems they could care less about having a biblical worldview. They are too involved in their own little world. It seems as if they really do not care what God has said about the world we live in. They are walking in darkness because they do not know the God who is directing the affairs of all the nations. And yet, they claim that God is their Lord! Biblical prophecy was the focus of many godly men in the Scriptures. When I say I love Biblical prophecy I know that I am standing with the spiritual giants that God used in biblical days. Consider the life and ministry of Isaiah, Ezekiel, Jeremiah, Daniel, Zechariah, and all of the other prophets of Israel. This would include the writers of the psalms. [The psalms are filled with prophecy.] In the New Testament, the apostles continued the ministry of the prophets. This was demonstrated by their intense focus on biblical prophecy. When you examine the writings of Peter, John, and Paul, you will discover they continued with a focus upon the prophetic themes mentioned by the prophets of the Old Testament. Please notice Paul was only in Thessalonica three weeks (Acts 17:1-4), and yet when he wrote back to them to answer their questions, almost one-third of the content of his epistles was about the Second Coming of Messiah. While writing about the Tribulation and the Antichrist in his second epistle, he wrote, “Remember ye not, that, when I was yet with you, I told you these things” (2 Thessalonians 2:5)? This certainly indicates the apostle Paul considered biblical prophecy to be a core doctrine that needed to be taught to new converts. As this great apostle faced the last few hours of his life before he would become a martyr for Jesus, he proclaimed he was one “that love his appearing” (2 Timothy 4:8). Paul loved biblical prophecy. That is good enough for me. When you examine the teachings of Jesus in the gospels, they are filled with prophecy. Jesus’ ministry was primarily a ministry that focused upon the gospel of the kingdom. The core of His teaching was upon the earthly kingdom that God has promised to Israel. The Bible says, “And Jesus went about all the cities and villages, teaching in their synagogues, and preaching the gospel of the kingdom” (Matthew 9:35) Jesus was filled with a great zeal for this coming earthly kingdom. He taught His disciples to pray, “Thy kingdom come. Thy will be done in earth, as it is in heaven.” (Matthew 6:10) Isn’t it odd that very little is proclaimed from the pulpits of the American churches about the Millennial Kingdom of God? If our Lord had a zeal for this, should we not also have a passion for His coming kingdom on earth? In His Olivet Discourse, as recorded in Matthew 24, Jesus answered His disciples’ prophetic questions with a very lengthy reply (Matthew 24:4-25:46) In Matthew 24:15, Jesus pointed to the incredibly significant prophecy given by Daniel in Daniel 9:14-27. When Matthew wrote his gospel 35 years later, and recorded the words of Jesus, the Holy Spirit inserted the words “whoso readeth, let him understand” (Matthew 24:15). I am not going to disagree with the Holy Spirit. He said we need to understand the incredible prophecy of Daniel’s seventy weeks in Daniel 9:24-25. Unfortunately, the majority of pastors in America consider these prophecies to be insignificant. Before Jesus died on the cross, He told His apostles the Holy Spirit would come upon them and guide them “into all truth … and he will show you things to come” (John 16:13). It is not an accident that God chose men who had a heart for Him and His eternal purposes to be His prophets and apostles. While writing his book on the prophets of Israel, Leon J. Wood comments, “prophets had to be people of outstanding character, great minds, and courageous souls. They had to be this by nature and then, being dedicated to God, they became still greater because of the tasks and special provisions assigned them. Thus, they became towering giants of Israel, the formers of public opinion, the leaders through days of darkness, people distinguished from all those about them either in Israel or other nations of the day. … They were fearless men, those who were willing to stand for the word they believed God had given them, … true prophets were not professionals in the sense of king-pleasers. They were committed men, men who were ready to do what God wanted them to do no matter the task and no matter the danger” (Leon J. Wood, The Prophets of Israel, pp. 16, 20, 21) It is obvious the New Testament apostles were men of the same caliber. As followers of Jesus Christ, we are exhorted to be like these great men of God in their godly character and teaching. As the apostle Peter dealt with the scoffers of the prophetic message of the early church, he wrote, “This second epistle, beloved, I now write unto you; in both which I stir up your pure minds by way of remembrance: That ye may be mindful of the words which were spoken before by the holy prophets, and the commandment of us the apostles of the Lord and Savior: Knowing this first, that there shall come in the last days scoffers, walking after their own lusts, And saying, Where is the promise of his coming” (2 Peter 3:1-4)? As a minister of the gospel, I am not commanded by God to model my ministry to follow the techniques, programs, and styles of the pastors of the large churches of our day. However, the Holy Spirit has commanded me to mimic the lives and message of the men of God in the Word of God. I am not to hold in high esteem those who are preaching to scratch people where they spiritually itch (2 Timothy 4:1-4). They are preaching to please people who have “a form of godliness … ever learning, and never able to come to the knowledge of the truth” (2 Timothy 3:5, 7). We are not to accommodate people in their sin. If our preaching is directed by the Holy Spirit, then we will follow the Spirit’s leading to “reprove the world of sin, and of righteousness, and of judgment” (John 16:8). Biblical prophecy trains our minds to focus upon eternity. I love biblical prophecy because it keeps me focused on eternity and God’s eternal plans. When I read what the Bible has to say about the Rapture, the Tribulation, and the coming Millennial Kingdom, I am forced to look beyond the moment and the events that are happening now. It helps me to remember my true earthly status as an earthly pilgrim who is just passing through this time and living for the future, not just for the moment. This is the real stuff that faith is made of. Notice Hebrews 11:13, “These [Abraham, Isaac, and Jacob] all died in faith, not having received the promises, but having seen them afar off, and were persuaded of them, and embraced them, and confessed that they were strangers and pilgrims on the earth.” Real faith looks at what God has said about eternity and lives in that daily hope, while longing for these promises to become a reality. In the world of science fiction and fake science we are made to believe our creation is following a hopeless, fatalistic path toward some cataclysmic destruction, such as a horrific ending due to global warming or an asteroid collision with earth. However, we know just how it will all end. It has been prerecorded in the Word of God. Life here on this planet is not just a random order of events without someone in the driver’s seat. The events in history and prophecy are all being controlled by an infinite God. When the end comes, God wins. God will triumph over wickedness, death, wars, deception, disease, and disappointments. The kingdoms of this world and the evil kingdom of darkness will be defeated by the King of Kings and the Lord of Lords. Biblical prophecy informs us of the big picture—the war in the spiritual realm. Far too many Christians live their lives without thinking about the reality of the ongoing power struggle in the spiritual domain. Since the beginning of time, Satan and his angels (demons) have been engaged in a powerful and deadly war with God and His angels. The Bible depicts this war from the Garden of Eden until Satan’s last rebellion against God at the end of the Millennial Kingdom (Revelation 20:7-10). The reader of the Book of Revelation cannot understand this final book of the Bible unless it is understood as the final phase of the war in the spiritual realm. This is why this book contains so many references to the good and the evil angels. We are exhorted to realize all of us are involved in this war. As children of the Lord we, and the Jewish people, are the focus of Satan’s attack upon God. The apostle Peter understood this well. On the night of his denial of his Lord, Jesus told him, “Simon, Simon, behold Satan hath desired to have you, that he may sift you as wheat.” (Luke 22:31). After several decades of imprisonment, persecution, and hardship, Peter wrote to his Jewish brethren thirty-seven years later and reminded them, “Be sober, be vigilant; because your adversary the devil, as a roaring lion, walketh about, seeking whom he may devour” (1 Peter 5:8). When the Apostle Paul wrote to the church at Ephesus, he reminded them that it was Satan who was working “in the children of disobedience.” (Ephesians 2:2) He exhorted the believers at Ephesus to “have no fellowship with the unfruitful works of darkness, but rather reprove them.” (Ephesians 5:11) Finally, at the end of his letter to them, he reminded them that if they were to be strong in the Lord they needed to “put on the whole armor of God that [they] may be able to stand against the [schemes] of the devil” (Ephesians 6:11). Obviously, a very important part of living the Christian life is recognizing we are constantly wrestling against the powers of darkness. We need God’s wisdom and God’s might to fight this battle. I love biblical prophecy because it is a constant reminder to me that I am at war and I have an enemy who wants to destroy me and my family to bring shame and reproach upon the Lord Jesus Christ. Biblical prophecy has been designed by God to have a profound spiritual impact in the daily life of the believer. Someone has said, “Bible prophecy has not been created by God to scare us, but to prepare us.” After speaking about the signs of His coming, Jesus said to His disciples, “Therefore be ye also ready: for in such an hour as ye think not the Son of man cometh” (Matthew 24:44). Prophecy has been designed by the Holy Spirit to change us and prepare us for that holy moment when we stand before our Lord. So often I hear people tell me that biblical prophecy scares them. What concerns me is some of these same people like to watch movies and television programs that are filled with graphic violence, destruction, and death. It seems odd to me they can enjoy being entertained by the world’s scary stuff, but they do not want to hear about the real and awesome righteous wrath of God and His judgment upon the wicked at the end of this age. I personally believe these people do not really know God and do not want to consider He is sovereign and controls our world. Much of biblical prophecy pulls back the curtain of this world and shows us the holiness of God and His hatred for sin and wickedness. Some of these people do not like this. They might not like to admit it, but they are in love with this world system and are not ready for God’s judgment to fall upon this world. The constant daily reality of the coming of our Lord has been designed by the Holy Spirit to create a spirit of expectancy, urgency, and accountability in the life of the believer to his holy Lord. Bible prophecy continually reminds us we are all going to be judged by the Lord in the not too far distant future. This is very healthy. We will all give an account to the Lord on Judgment Day. At the end of the first century, the apostle John wrote, “It doth not yet appear what we shall be: but we know that, when he shall appear, we shall be like him; for we shall see him as he is. And every man that hath this hope in him purifieth himself, even as he is pure” (1 John 3:2-3). The real consideration of biblical prophecy as directed by the Holy Spirit will create within us a desire to be pure and ready for that moment when we shall fall at the feet of our blessed holy Lord Jesus in total humility, submission, and worship. In reality, if we are in love with Jesus Christ, we should be living for the moment when we shall see Him. Bible prophecy is used by the Holy Spirit in my life to constantly change me and prepare me for that moment. I want that. I need that. That is why I love biblical prophecy. Biblical prophecy is a spiritual tool for evangelism. People are not saved by the convincing arguments of a Christian. The seeds that are sown in the human heart that eventually germinate and create eternal life are the seeds of the Word of God. The Bible declares, “So then faith cometh by hearing, and hearing by the world of God” (Romans 10:17). The Word of God is the divine tool of the Holy Spirit that regenerates the soul of a sinner. No one can be saved without the work of the Holy Spirit (1 Corinthians 12:3). Eternal life comes from God. It is His gift to us through the salvation work of Jesus Christ’s death and resurrection. At the heart of the work of the Spirit in evangelism is the creation of a fear of God in the heart of the sinner. This is the foundation of all wisdom and knowledge (Proverbs 9:10). In the process of teaching the sinner to have a fear of God, the Holy Spirit convicts the sinner of the holiness of God and the sinner’s own personal sinfulness. He reminds the sinner of the choice he must make between eternal damnation and eternal salvation. He will spend eternity either in heaven or hell. The Spirit of God points the sinner to the future day when he will stand before God and be judged. Jesus told His disciples that when the Holy Spirit would come after He ascended back to heaven, “he will reprove the world of sin, and of righteousness, and of judgment” (John 16:8). This is the way the Holy Spirit works in the process of evangelism. To be effective in winning souls to Christ we must be filled by the Holy Spirit. This means we need to cooperate with Him. He is the one who saves, we are just His mouthpiece. If we are to allow the Holy Spirit to use us as His mouthpiece, we must be sure to use Scripture, including the passages that speak of the future judgment, the hope of heaven, and the warning about hell. These are the subjects that biblical prophecy addresses to produce the fear of God and to convict sinners to bring them to Christ. I am not suggesting that biblical prophecy is the only biblical doctrine that the Holy Spirit uses to produce salvation, but it is one of them. In my travels across America in the last twenty-one years, I have had numerous people tell me they received Christ as the result of a prophetic conference or hearing a prophetic message. When pastors or believers avoid speaking about biblical prophecy they are hindering the powerful work of the Holy Spirit. Unsaved people not only need to hear that God loves them, and that He is their savior. They also need to hear that God is holy, and that one day He will be their judge. Finally, I love biblical prophecy because I want to be blessed by God. Revelation 1:3 gives the following promise, “Blessed is he that readeth, and they that hear the words of this prophecy, and keep those things which are written therein: for the time is at hand.” The word “blessed” means “happy.” A person is happy when he is focused upon and is in submission to the prophetic plan of God. He is our Lord. We are to love Him, worship Him, and want to be like Him. It should be our hearts desire to be with Him in His heaven. So, when the believer pours over the prophetic Scripture his soul is being filled with the longing and hope that soon he will be with his Lord. He is gratified to think about the future moment when His Lord will finally fulfill His great eternal mission upon this earth. He is thrilled to know that God will triumph over Satan. He rejoices to know and be reminded that good will win over evil. It is a pleasure to know that the devil, the Antichrist, death, and hell will be finally cast into the Lake of Fire. It will be a pure delight to live in the new heaven on the new earth. Finally, we will be forever in our Lord’s presence. All sin, sinners, and the effects of sin will be no more. Friends, that is true bliss! That is our blessed hope!